There is no doubt, the property market has slowed. As investors and developers alike reposition themselves for the new market conditions, we are seeing increasing numbers eager to find a way out of the option agreements entered into at the height of the market. In this article we take a look at what can happen to option agreements in a softening property market and also analyse some unusual legislative requirements that can allow a party to walk away from the deal – which could potentially spell disaster for a vendor. We will hold a panel discussion on November 28 looking at how to make the most of current market conditions. Click here for more information. a “put” option, under which a prospective purchaser grants the property owner the right to require the purchaser to buy the property for an agreed price, with the right exercisable within a fixed period of time. A call option and put option will frequently be used in the same transaction document in the sale and purchase of a development site. The benefits of doing this include the ability to delay payment of the duty on the contract for sale and, in limited circumstances, the nomination of a third party to purchase the property. land that is more than 2.5 hectares in area. Given the above, it is not uncommon for a development site to meet the definition of residential property, especially in circumstances where the property being sold is vacant, the zoning of the land does not prohibit residential accommodation and the area of the land 2.5 hectares or less. cannot be exercised within 42 days after it is granted. The option will be void if it does not comply with these two requirements. We are seeing examples of parties failing comply with the exchange by counterparts requirements. Example: ABC Pty Ltd wishes to enter into a call option agreement with BPC Pty Ltd, the owner of a 2ha vacant residential land in Rouse Hill for $7 million. The purchaser pays a 10 per cent deposit. The parties sign the same copy of the agreement instead of each signing a counterpart of the agreement. Consequentially, the option agreement is void and the purchaser is entitled to receive a refund its deposit. the documents prescribed under the Conveyancing (Sale of Land) Regulations 2017 (NSW) (Prescribed Documents). Failure to attach the above documents gives either party the time-limited right to rescind the option agreement or, if the option has been exercised, the contract for sale. Example: ABC Pty Ltd wishes to enter into a call option agreement with BPC Pty Ltd, the owner of a 2ha vacant residential land in Rouse Hill for $7 million. The purchaser pays a 10 per cent deposit. ABC Pty Ltd prepares the option agreement and is unware of the requirement to attach a copy of the proposed contract for sale to the agreement. The parties sign counterpart agreement that do not contain copies of the contract. At a later point, ABC Pty Ltd releases that it deal is not commercially viable and, upon receiving legal advice, exercises its right to rescind the agreement and receive a refund of its deposit. Interestingly, the Act allows either party the right to rescind. The decision of Sieve-Storm Pty Ltd ACN 160 562 354 as trustee for Affordable Property Trust v Murphy  NSWSC 1800 (Murphy Decision) considered the relevant sections of the Act and whether it was equitable to allow a vendor, who had prepared the option agreement in that case, the right to rescind the agreement in circumstances where it was not correctly prepared. a property located at 12 Gillies Street, Kurri Kurri, New South Wales (Second Option). Sieve-Storm and Murphy entered both the First Option and the Second Option in 2013. Sieve-Storm provided $1 as consideration for the call options being granted. the Second Option had attach these documents, but the proposed contract for sale did not include the “particulars of the purchase price”. because of the limited option fee paid by Sieve-Storm and the conduct of the parties, Sieve-Storm could not establish an argument of estoppel. The Murphy Decision is important as it established that either the vendor or the purchaser can exercise a right to rescind under the Act regardless of who prepared the agreement. This outcome might be different if a significant option fee has been paid and the party challenging the rescission seeks to rely on equitable remedies on the basis that the other party prepared the deficient agreement. The laws governing options is complex. A poorly drafted option agreement can inadvertently allow one or both parties a right to walk away from the transaction. Parties that wish to use option agreements should ensure that their legal representatives are experienced in the drafting and advising on these types of agreements. Parties who have entered into option agreements at the height of the property market that are still in force today, may be concerned, or interested, in whether those agreements are binding. In particular, developer purchasers who entered into option agreements before the softening of the market may now be interested in finding ways out of agreements that no longer provide good commercial outcomes for their business. Conditions across Australia’s construction sector remain weak, but they’re not quite as severe as they were earlier in the year. Activity levels for residential and commercial construction are going backwards but are stable for engineering firms. 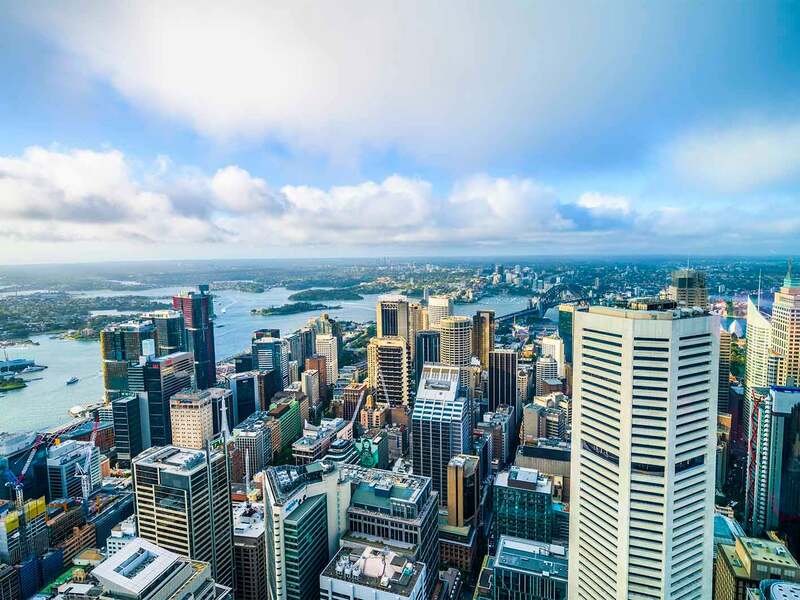 In the recent decision of Hutchings v Hope  NSWCATAP 59, the NSW Civil and Administrative Tribunal Appeal Panel (Appeal Panel) set aside the decision of the Tribunal and remitted it for hearing by a differently constituted Tribunal. The Tribunal had found that the building contract was a sham.